With the new year here, it means show season will begin. In the watch world, that predominantly means — SIHH 2018, here we come. However, as we know, many other brands capitalize on the fact that so many retailers and press are in Geneva for SIHH and so they, too, exhibit their newest inventions — some of which have taken years upon years to build. While we know that the brands at SIHH have a lot to offer, we expect some great things from a few of the independent brands that are showing offsite in the city, including Manufacture Royale, Louis Moinet and DeBethune. Here’s why. No denying that this is a small independent brand that builds a very limited number of watches annually. However, that only makes the brand work harder at research and development because ingenuity wins out. Every year, the brand offers new and exciting technology, materials and even demonstrations of how time should be indicated. My favorite Manufacture Royale watches in 2017 were the brightly colored ADN collection of watches– retailing about just about $100,000. 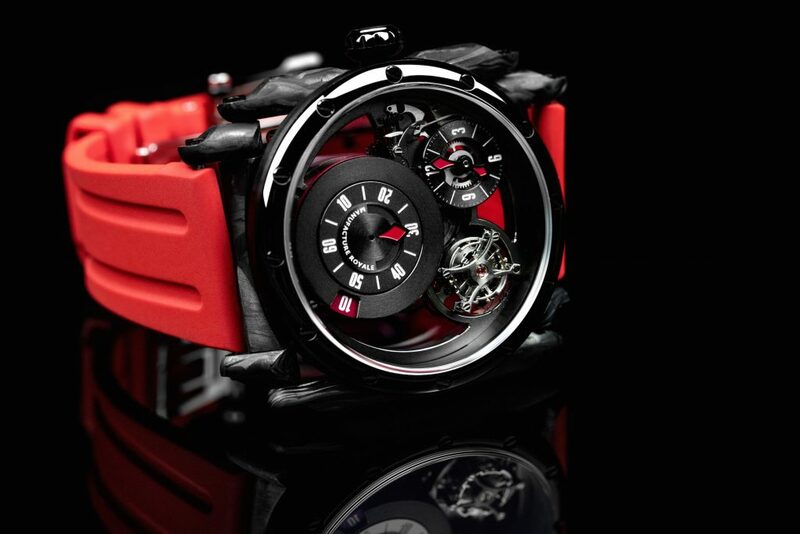 The ADN combines the brand’s iconic design with its ninth caliber, the MR09 with flying tourbillon, and bold color. We wrote about the Manufacture Royale ADN line in depth here earlier this year, but given the wonderful growth of this brand, the bold technology, colors and creativity, we expect more great things in 2018. 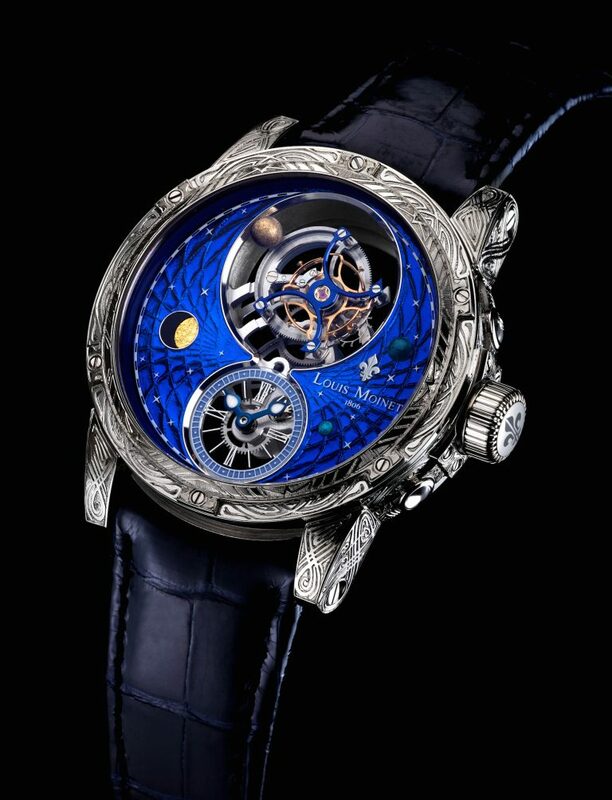 Louis Moinet Space Mystery watch with meteor and Magic Blue dial and rotating orb. From the brand that invented the chronograph, Louis Moinet never ceases to amaze and delight us. From creative celestial watches to the most incredible fossil, gemstone and meteorite dials, this brand is a quiet giant in the realm of classic yet innovative watchmaking. Our favorite from the brand in 2017 was the Louis Moinet Space Mystery watch, which we covered in-depth here. Two years in the design and development stages the stunning Magic Blue and meteorite dial watch is the brand’s first satellite tourbillon®, wherein the outsized (13.59mm in diameter) tourbillon cage is balanced by a tiny planet that rotates around it. 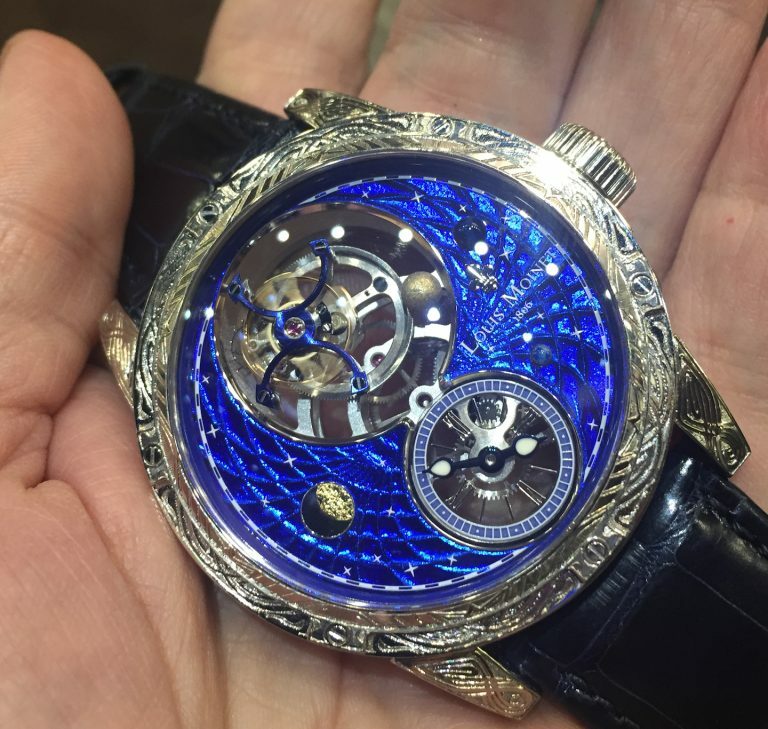 Both the orb and the tourbillon at 12:00 seem to float in space between the two sapphire crystals, and the tourbillon cage is actually floating 1.8mm above the watch dial. The complexity of the Louis Moinet’s Caliber LM48 Space Mystery is incredibly advanced, as are most of this brand’s timepieces, so we are looking forward to their newest unveilings this January. Despite a rough year wrought with executive changes, DeBethune seems to have pulled out ok. This year, the De Bethune team will once again be welcoming guests in Geneva– and surely showing off some great new beauties. Let’s not forget that this is the brand that brought us — year after year — a complete series of Dream Watches that offered a blend of top-notch watchmaking and superb avant-garde designs. 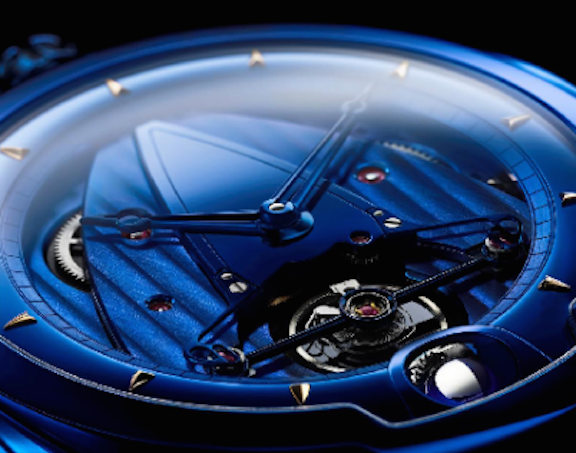 We are glad to see that De Bethune’s majority owners — an investment consortium led by Pierre Jacques, former CEO of the brand, and private equity investor Giovanni Perin — are fully back at the helm, along with Denis Flageollet, co-founder and COO De Bethune. We think this will mean great things for the brand and look forward to seeing the newest timepieces on the drawing board for 2018.